We are a leading Exporter of wheat flour packing bags, besan bags, flour bags, indian white rice bags, dal packing bags and pulses packing bags from Surat, India. We feel proud to introduce ourselves as the leading organization in this domain, engaged in manufacturing, supplying, and exporting an excellent grade Wheat Flour Packing Bags. These bags are made available in various sizes; 1kg, 5kg and 10kg. Clients can also provide their custom demands and sizes can be modified accordingly. At our manufacturing unit, we adhere to industry standards during the fabrication of the bags. Such strict adherence during fabrication helps in making the bags safe for storing wheat, flour and other food items for a long time in the bags. 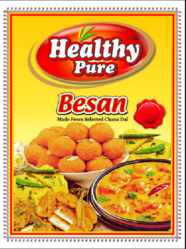 We are instrumental in offering a wide array of Besan Bags to the clients. Their spillage of the content is well protected and easy filling is possible. Our products are fabricated using the optimum quality plastic packaging material, which is procured from the trusted vendors of the market. Further, our products are available at competitive market prices. We have gathered a huge customer base in this domain by manufacturing and supplying a comprehensive range of Flour Bags. These flour bags are developed using polypropylene film. The offered bags are manufactured by adhering to industry guidelines and quality raw materials under the observation of strict professionals. Offered bags are used for carrying and storing wheat, flour, Jowar, and maze. Bags also have their other agricultural usages. Further, these bags are available in variety of sizes, which can be customized according to the clients’ requirements. As a trust worthy manufacturer, supplier, and exporter of this domain, we are committed to offer our clients a superior quality assortment Indian White Rice Bags. These bags are made available in various sizes and barrier capacities. From 200g to 10Kgs to 1 ton, the offered bags are made available to the clients. Also, clients can provide their custom requirements, our well-established unit is equipped with advanced technologies handle by deft professionals who adhere to industry standards while fabricating the customized bags. 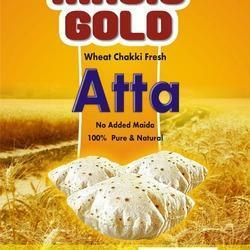 Since our inception, our firm is affianced to offer a premium quality array of Dal Packing Bags to our clients. These bags can handle 50kgs of load easily. Properly laminated helps in keeping the bags leak proof during the long journey. At our well-established manufacturing unit, our professionals adhere to industry standards for manufacturing the dal packing bags. 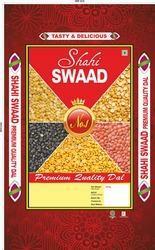 The food safety standards ensure that storing dal in the bags keeps the item fresh and safe for a longer time. 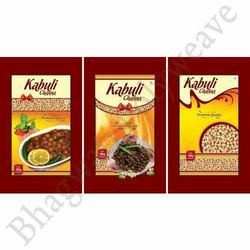 Owing to the expertise of our team of experienced professionals, we are able to produce an exclusive range of Pulses Packing Bags to our clients. 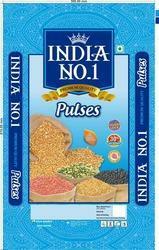 These bags are used for packing pulses such as dal, rajma, chole and many other Indian pulses. 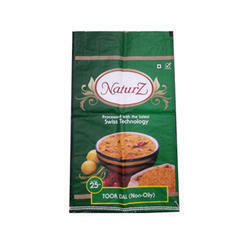 The offered bags are manufactured in set industry guidelines that help in keeping the pulses safe and maintain its freshness in adverse weather conditions. Offered bags are made available in a variety of sizes along with digital prints. Clients can also provide their custom requirements for size, capacity, and prints. 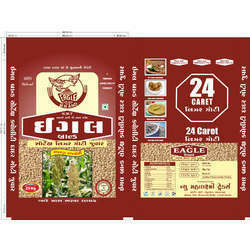 Within the short time period, we are engaged in manufacturing, and supplying an excellent grade Dal Packing Bags. These bags are used for packing various types of cereals, dal and rice on demands. Manufactured adhering to food industry standards, the offered bags are found safe for food packing items. Provided bags are made available in a variety of sizes to the clients. The available sizes are 200g, 500g, 1000g and 50Kgs. Clients can provide their own custom requirements, and our unit is well equipped in taking and delivering custom order on time. 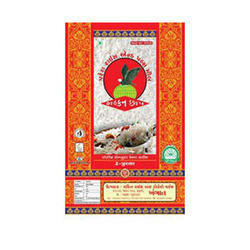 Leveraging on our in-house manufacturing unit, we are supplying a wide assortment of General Brand Food Packing Bags. These bags are manufactured using various plastic materials, which are safe for food and consumers. The materials often used in processing the bags are OPP, CPP, PE, PET, VMPET, VMCPP, AL, PVC, PP, PPE, and Nylon. The offered bags can be used for packing food items, snacks, and various types of other food products. The capacity size of the bags begins from 200grams and may reach till 10killos, and further can be increased according to clients’ demands. 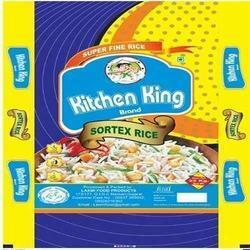 We are successfully ranked amongst the topnotch entities offering a wide range Digital Print Rice Bags. 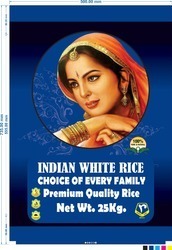 This rice bag is manufactured using premium quality plastic, which is recyclable. The offered bag has digital prints, whose prints last long and do not fade due to extreme heat or adverse weather conditions. It is an eco-friendly vacuum bag provided with better lamination. Also, the offered bag is made available in various prints, color and sizes. Clients can provide their own custom requirements; our professionals can develop the custom bags according to the given demands. With the assistance of our deft team of professionals, we are able to offer a broad array of Plastic Rice Bags to our esteemed clients. 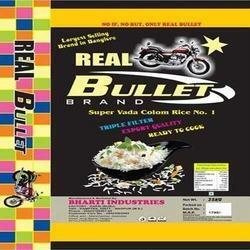 These rice bags are manufactured using quality plastic materials. Our professionals opt for innovative technology for laminating and printing the bags with digital colors. The offered bags can be recycle that help in saving the natural resources and do not contaminate the environment. Further, clients can get the bags from us in bulk within the stipulated time. 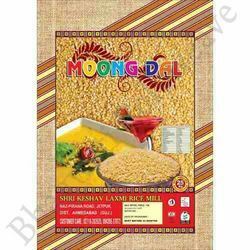 We are affianced in providing a wide array of Moong Dal Bags. 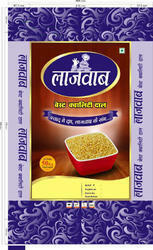 To preserve the rich nutritional values, these dal bags are suitably packed. These dal bags are hygienically processed before their final delivery at clients' desired destination. Furthermore, these bags are available at the most affordable prices. 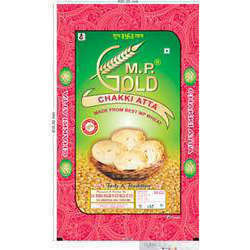 We are one of the leading organizations engaged in offering an extensive gamut of Kabuli Chana Bags. These bags are extensively used in various industries such as sugar, cement and fertilizer. Our products are available at the most reasonable prices and can be procured in different sizes and shapes as per the specifications mentioned by the valuable patrons. BOPP Rice Packaging Bags are manufactured from hygiene food grade raw materials. These are widely used for packing and storage of rice and allied products. These bags are used for excellent resistance to the packed product against dirt,moisture and other impurities. Available in various options of length, width, denier, colour, design and customer specified patterns. 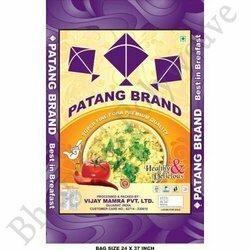 We specialize in offering an extensive gamut of Patang Poha Bags. These bags are designed by the team of skilled & experienced professionals in compliance with the predefined international standards of quality. Furthermore, our products are tested on various parameters by the quality controllers to ensure their flawlessness before delivering at clients end. 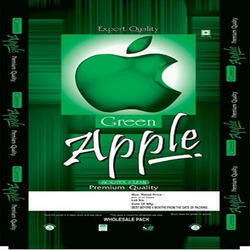 We have gathered a huge customer base in this domain by introducing a comprehensive range of Food Packaging Bags. These bags are designed using polypropylene film materials. The bags are made available in various colors, sizes, lengths, and straps to comfort the users. In addition, the bags are used in carrying various domestic stuffs, especially food items. Provided bags look awesome and offer spacious inside. Apart from it, the bags are made available at industry leading rates for the clients. 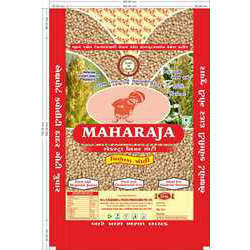 We are a distinguished manufacturer, supplier, and exporter of a wide range of Jowar Packing Bags. These bags are manufactured using polypropylene film, adhering to industry standards, and using progressive technology under the supervision of deft professionals at our manufacturing unit. The offered bag can have digital printing carried out in both the sides. Strong computerized lamination and industry proof adhesive helps in making the packing bags safe for storing pulses. It keeps the stored Jowar, dal, rice and other food items protected from moisture and fungi development for a longer time.